People who’ve suffered major traumatic injuries are at much greater risk for mental health problems and suicide, a new study finds. “Major trauma was associated with a 40 percent increased rate of hospital admission for one or more mental health diagnoses,” said study author Dr. Christopher Evans, from the department of emergency medicine at Queen’s University in Kingston, Ontario. “The most common mental health diagnoses were alcohol abuse, other drug abuse disorders and major depressive disorders,” Evans added. The researchers also found that the suicide rate among people who’d suffered major injuries was 70 per 100,000 people, compared with 11.5 per 100,000 people in the general population. 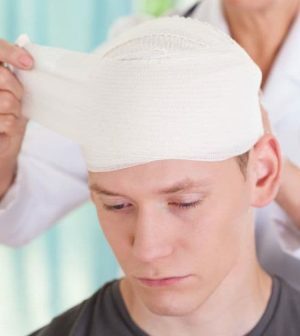 “Patients who suffer major injuries are at significant risk of admissions to hospital with mental health diagnoses in the years after their injury and of having high suicide rates during this period,” Evans and his colleagues said in a journal news release.